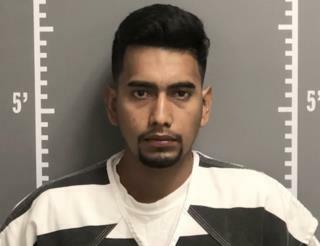 (Newser) – Cristhian Bahena Rivera, the 24-year-old man accused of abducting and murdering University of Iowa student Mollie Tibbetts, has admitted following her as she went for an evening run—but claims to have blocked out key details. Rivera, who led investigators to where he had concealed her body in a cornfield, has told police he followed her in his vehicle in her hometown of Brooklyn, Iowa, before getting out and running alongside her and behind her, according to a criminal complaint seen by the Des Moines Register. He said that when she took out her phone and threatened to call police, he panicked and "blocked his memory, which is what he does when he gets very upset," WHO-TV reports. 1- the claim that he is not an illegal is false. The INS has no record of his entry to the country. 2- E-verify was not used. The "company" recanted the claim and said they use Social Security to verify his status. 3- The Repubes don't want to make an issue of this because the "unnamed" big Repube guy would be in trouble. "Uh, I like black out and stuff when I get mad, homes, so I'm like innocent and stuff, right?"